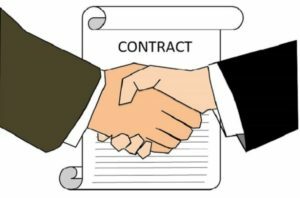 Croft Solicitors | Contracts – Are you failing to agree essential terms? In today’s world, in order to beat their competition, businesses and individuals are forging ahead with work for their customers before negotiations on contracts are completed. As the case below highlights, this could be a risky manoeuvre. 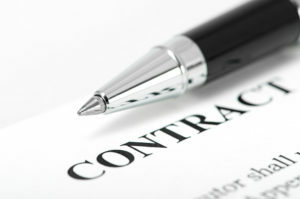 18 Jul Contracts – Are you failing to agree essential terms? An offer has been accepted. The parties reach agreement on all the essential contractual terms. There is intention to create legal relations. The contract is created at the moment the parties reach agreement on all essential terms. A Court may imply a term into a specific contract to fill a gap. The reason for implying a term in this way is to reflect the parties’ intentions when the contract was entered into. The case of Wells v Devani  EWCA Civ 1106, 15 November 2016 is a reminder why is it so important to ensure that the essential terms of a contract are agreed before any work commences. Mr Devani was an estate agent who dealt with the sale of Mr Well’s flats. During an initial conversation, Mr Devani told Mr Wells how his commission was calculated, but not the event which would trigger the commission becoming payable. Mr Devani found a buyer for the flats and, only once Mr Wells had accepted the buyers offer, did Mr Devani provide Mr Wells with his terms of business (which set out the trigger event for payment of commission). The sale concluded and Mr Wells refused to pay Mr Devani any commission. At first instance, the Judge found that a legally binding contract had been made during the initial conversation between the parties and therefore, Mr Wells had to pay commission to Mr Devani. Mr Wells appealed the decision. The Court of Appeal overturned the first instance decision and said that there was no enforceable contract for the payment of commission. The Court said that the failure to agree what event would lead to the commission becoming payable made the contract incomplete. As such, terms cannot be implied into an incomplete contract. Where an essential term of a contract is missing, the gap can only be resolved by interpretation of what the parties said and did and not by implying the missing terms. The trigger event for payment of commission in this case was an essential term. This aspect of the decision may have a wider application to other types of contract under which commission is payable in other sectors. Permission has been granted for Mr Devani to appeal this decision in the Supreme Court.